Dark chocolate is known has many health benefits. 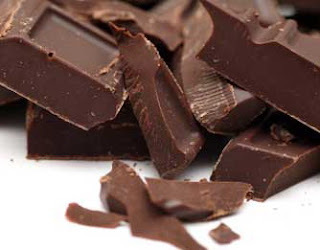 Results of analysis of 20 studies showed that consumption of dark chocolate every day will lower blood pressure. Research conducted by the Cochrane Group reported, the active ingredient in chocolate is beneficial to make the blood vessels more relaxed. As a result, the blood pressure will decrease. Many experts suggest that consuming chocolate, just in moderation (because they contain high calories), but undeniably, chocolate also provide health benefits. Various studies have revealed that dark chocolate (dark chocolate) has an antioxidant that can prevent various diseases. Chocolate fans should be happy. Because eating chocolate improve heart health, such as lowering blood pressure, bad cholesterol, and the risk of heart attack. In addition, dark chocolate is also an inflammatory agent that lowers the risk of cardiovascular disease. Dark chocolate contains high fiber so it makes you more full when eating. Eating dark chocolate also can reduce your snacking habits sugary foods, salty, and fatty foods. A small-scale study in 2005 mention eat chocolate on a regular basis can improve insulin sensitivity, so the risk of diabetes will decrease. A study from Sweden in 2011 and then to prove that eating chocolate 45 grams a day for a week potent lowers stroke risk by 20 percent. Subsequent health benefits of eating chocolate is to protect the skin from the sun because there flavonoid compounds in chocolate which are antioxidants that fight free radicals. But you still have to put sunscreen if you want to sunbathe. Can not stop coughing? The ingredients in chocolate called theobromine can help you relieve cough experienced. This compound is precisely reduces neural activity in the brain that trigger cough. Enjoy the occasional chocolate is certainly capable of making you feel more comfortable and relaxed. For enjoying food is one way to live an exciting life. So, take your dark chocolate and feel the benefits in improving mood. Chocolate is anti clotting blood that works like aspirin. So that eating chocolate will improve blood circulation in the body. Because chocolate potent blood circulation, especially around the brain, research from the University of Reading suspect that chocolate may also improve blood flow to the retina. So that your vision will be better thanks to the diligent eating dark chocolate. Still related to the blood circulation in the body, eventually eating chocolate can also make you more aware and alert. So when you do something, you are more able to concentrate.